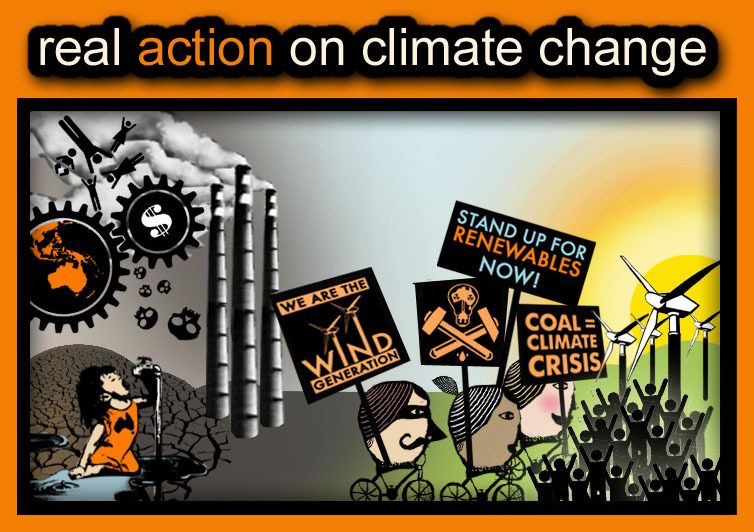 Burning coal is the biggest single contributor to climate change in Australia and globally. 78 per cent of Australia's electricity is generated in coal-fired power stations, making us one of the most coal-dependent countries on Earth, after Poland and South Africa. Most countries have a much more diverse mix of sources for their electricity. The myth of clean coal. 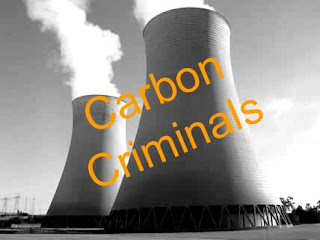 There are voices within the coal industry and some sectors of government who are putting large amounts of money into an untried, untested and unknown technology knows as Carbon Capture and Storage, or Geo-sequestration. The idea behind this, and it is just an idea as it exists as no more than a few artists impressions in CCS promotional powerpoints, is that you can pump the pollution from coal fired power stations into the earth. By pumping these gases underground into cavities in the earths various sub stratas the hope is that they will stay there long enough that we can forget about them for the time being. CCS as is being promoted in Australia would involve mixing the carbon rich green house cases with a saline water solution, essentially turning that water into a heavy and toxic soda water mix, and pumping this acidic water into chambers within the earth left from various mining activities or into already existing aquifer systems. There is no knowledge of how this acidic solution would react with different types of rock substrata over any length of time. Proponents of CCS cannot give assurances that this acidic pollution we used to pump into the air, with the confidence that it would disappear and do no harm, will not create problems in our soil, water ways and potentially re-enter the atmosphere through leaks or event gaseous explosions in the future. CCS is an unknown, undeveloped and unnecessary way of allowing the coal industry to continue with a business as usual attitude, while climate change increases in severity. It will be far cheaper and more effective to switch to renewable energies that are ready for use now instead of continuing to pollute while we wait for clean coal that may never come. It is a very informative post you got there,about Scottish Trust Deeds. I am sure it will help a lot of people who are seeking help on deeds. Looking forward to see more like these from you.